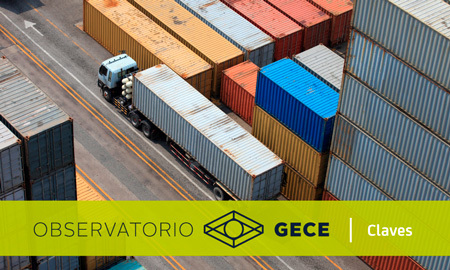 The Corporate Governance, Strategy and Competitiveness (GECE) Observatory, created by Bankia in collaboration with the Ivie, has published a new report on the international profile of Valencian firms and how this affects competitiveness. The report analyzes exporting activity, investment abroad and geographical diversification by firm size and type of ownership. The report also includes a new issue of Keys to Competitiveness that analyzes the international profile of firms according to age and type of ownership. According to the findings, non-family-owned firms in Spain are more active in foreign markets than family-owned firms, as 34.4% of non-family-owned firms export, compared to 24.4% of family-owned firms. In contrast, 30.1% of Valencian family-owned firms export, a figure that is only three percentage points below the percentage for Spanish non-family-owned firms. Interestingly, of firms aged over 50 years, 58.1% that are family-owned export, compared to 45.3% that are non-family-owned. These older Valencian family-owned firms also export far more than their Spanish equivalents, of which 42% export. In terms of investment in foreign branch offices, the findings differ somewhat, as non-family-owned firms outnumber family-owned firms in all the age groups, both for Spain and for Valencia. Of Valencian firms aged over 50 years, only 9.3% that are family-owned have an office abroad, compared to 30.2% that are not family-owned.